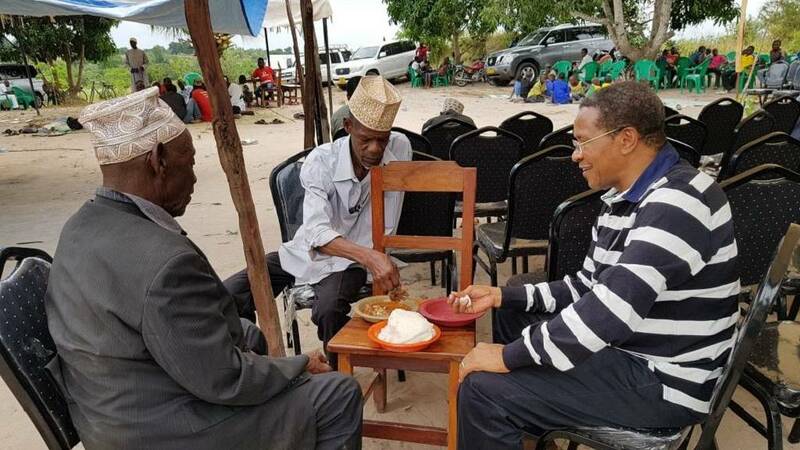 That was once a president in one of the African countries seen dinning and enjoying meals with his kith and kin at their local village. 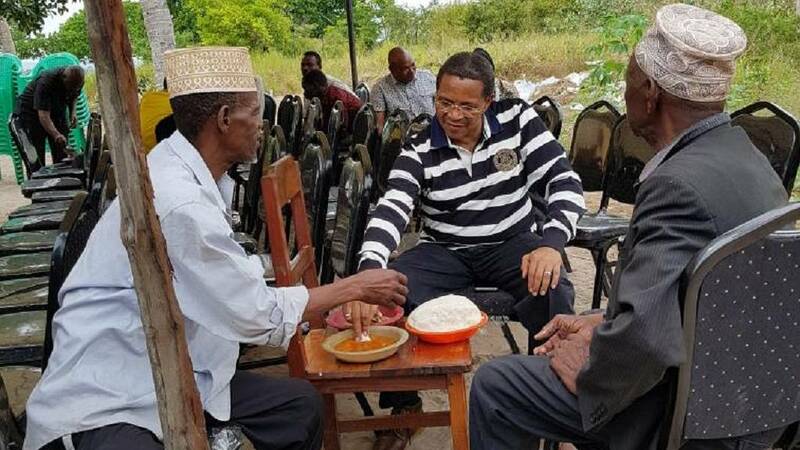 His name is Jakaya kikwete,the former Tanzanian president for 10 years. No one would believe that the man in stripe polo shirt was once a president of Tanzania,the 6th president of the AU serving between January 2008 and February 2009.Yes,it is so marvelous to see this great caliber of man,a gigantic figure,eating with his back then play mates and old friends in the village. “There is life after retirement with more time for things I had less time for, like enjoying quality time with my family, my cattle & farm''. I am sure you are wondering as I am,how many political representatives could think in this direction. How many of them out there in politics are convinced that there is still life after retirement? Many political leaders feel so well that if they leave their political post,life would not be as sweet as it is in politics. But this is not true! In fact, persons like Jakaya Kikwete, Goodluck Jonathan,George Bush and his wife and more of them believed and have proven that life is much more better off after being president. Just imagine someone who had lived more than 30 years of his life as common citizen before attaining a political post as president which will last in a very short time behaving like it is going to be forever with them up there,not ever wishing to come down for fear that things won't ever be the same. Well I think this attitude is common among African political leaders! Poverty,greed and selfishness are the major causes of this attitude. Dear African leaders,political post is simply a commission to serve. A platform to serve humanity and not a place to make enormous wealth for oneself. Of course,life is better off after retirement! 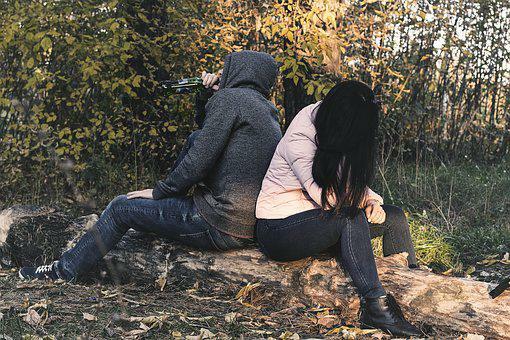 You need to come home and see how your old people are doing and pick up those things you left for years because of humanitarian service for your country. We are Africans,and we must never forget where we come from and what we have. A humble beginning and a beautiful life,such as this!! !